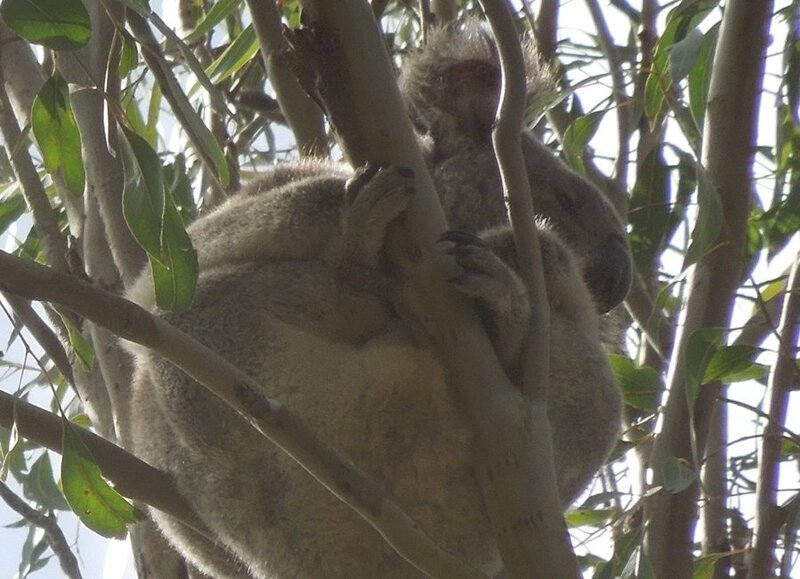 Here is Galilee who is the spot in the previous photo showing the perspective of how large the red gum is that she is snoozing in. Wow! Is she way up there, close to the top of the red gum tree? Galilee, you are snug in your high spot! Great shot considering the where she is in the tree.